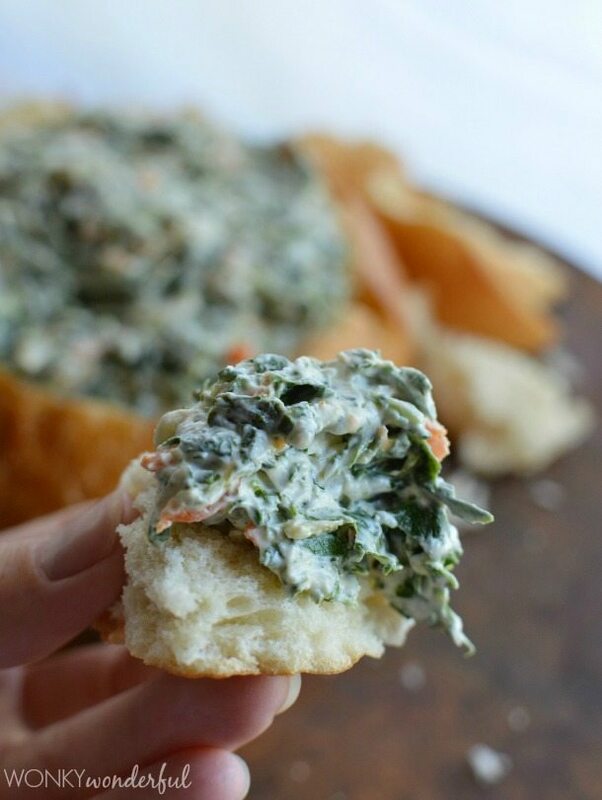 This Spinach Dip Recipe is one of my family’s favorite appetizers! It has all of the flavor of traditional spinach dip, but I have lightened it up over the years. 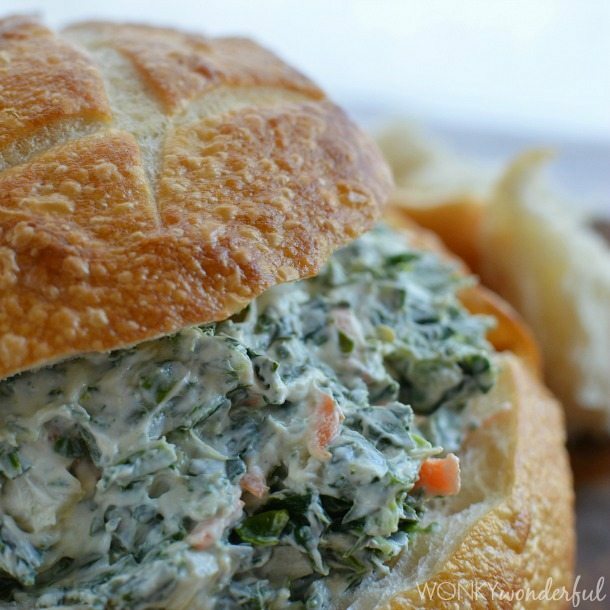 Not only am I sharing this Healthier Spinach Dip Recipe with you all. But, I am also teaming up with LG Home Appliances to show how Life’s Good in the Kitchen! LG Home Appliances is a sponsor of The Kitchen with Katie Lee. Katie Lee is a Co-Host on the Food Network show and is in LG Videos featuring the LG Door-in-Door™ Refrigerator. The Kitchen is a morning talk show meets cooking show. 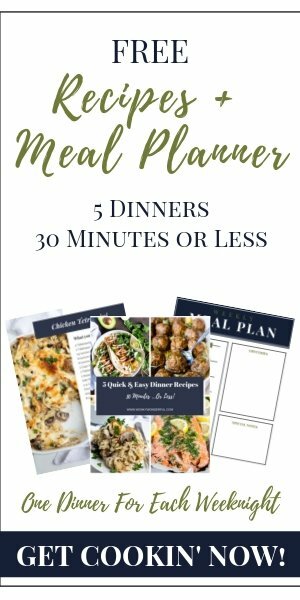 With lots of tips, trivia, discussion and recipes. And the backdrop is a kitchen that is fully equipped with LG Appliances! Basically, I am totally jealous of their kitchen. I can only dream about a kitchen that is decked out with LG appliances. Right now you have a chance to win LG’s newest 4-Door Refrigerator with Door-in-Door technology, which provides multiple organization and storage compartments making it easier than ever to store and find the things your family needs. 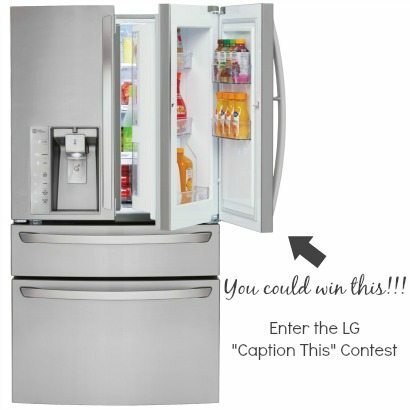 To enter, simply visit LG’s Facebook page and write a witty caption to a scene from LG’s brand new home appliance commercials. Entry starts 06/20/14 and ends 07/31/14. Public Voting for best captions start 08/20/14 and ends 09/03/14. Back to my absolute favorite dip recipe. 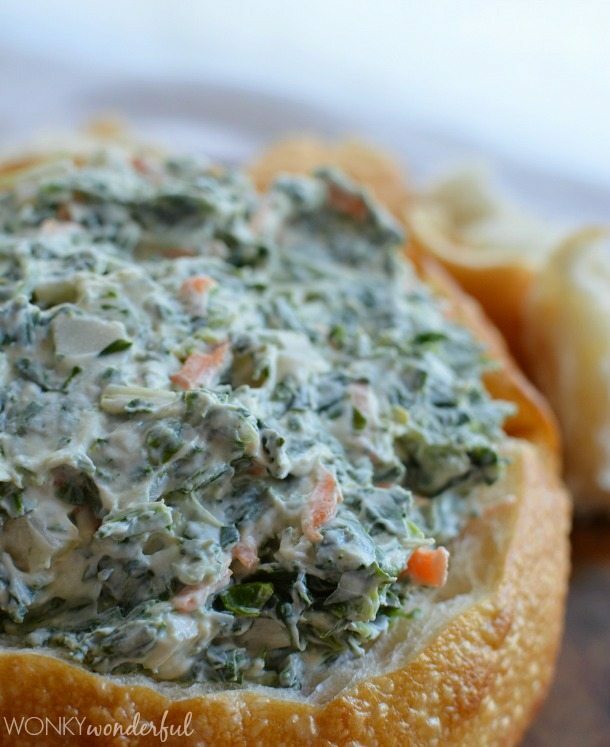 When I think of good times in my kitchen, this spinach dip recipe is always involved. 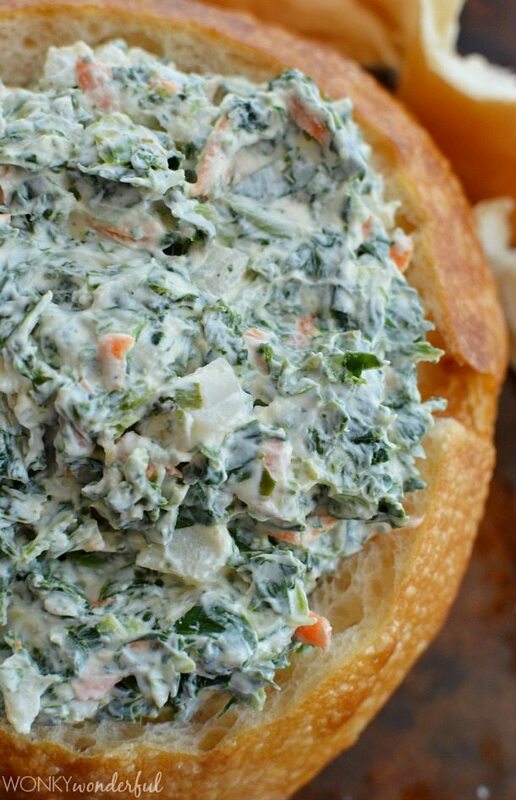 This dip is served at every holiday meal, family function and special occasion. My family has been known to throw some elbows just to get the last bite of dip! It is that good. Thaw chopped spinach and drain all liquid.